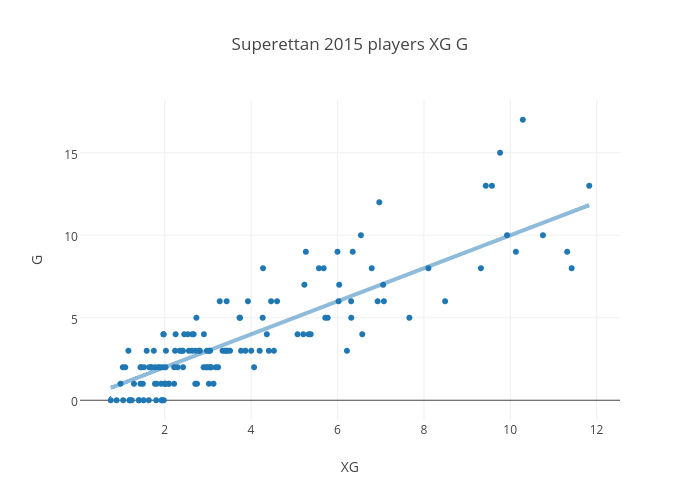 Let’s look at some of the players in Superettan! 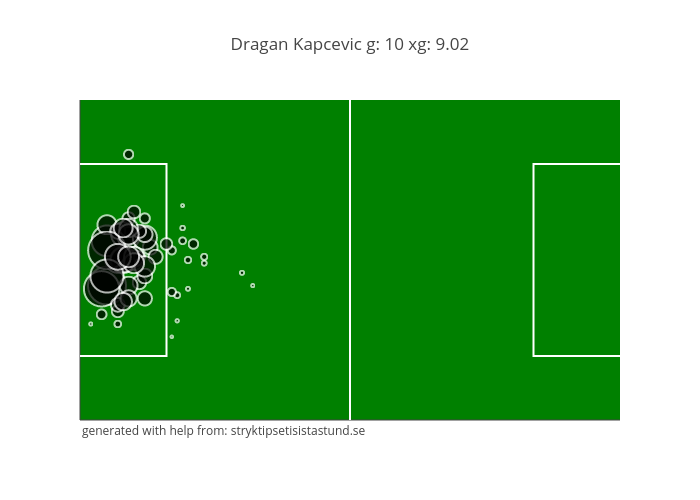 Compared with Allsvenskan there are more players in the top over performing. 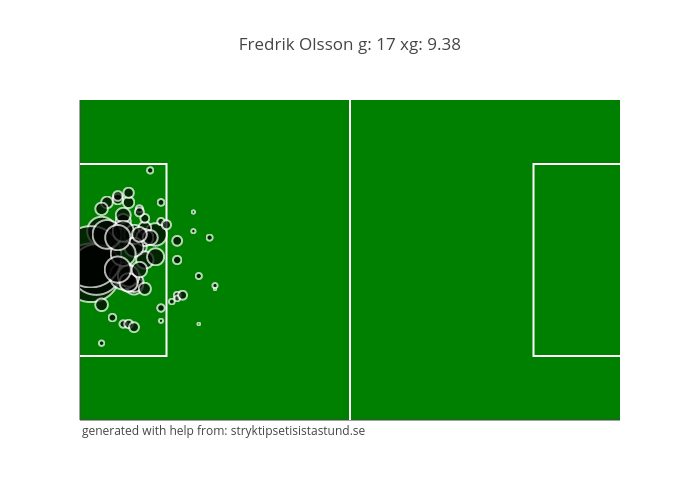 Fredrik Olssons 7 goals more than expected makes a big contribution to J-Södras great season. 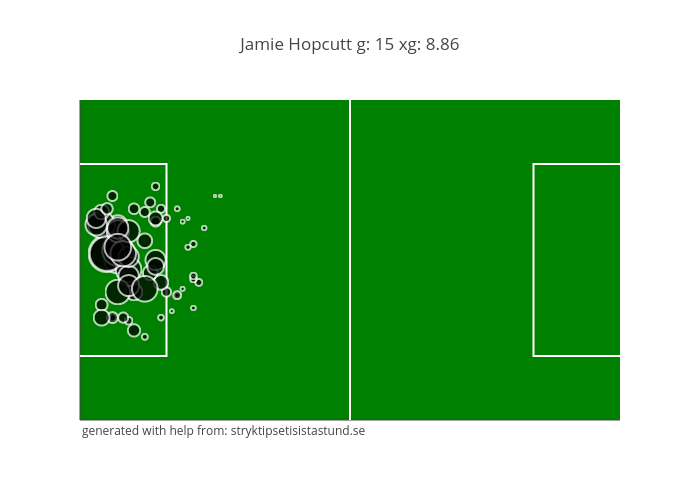 Jamie Hopcutts number is also really impressive, doing it from less minutes played as well. The top, sorted by Goals per 90 minutes played.